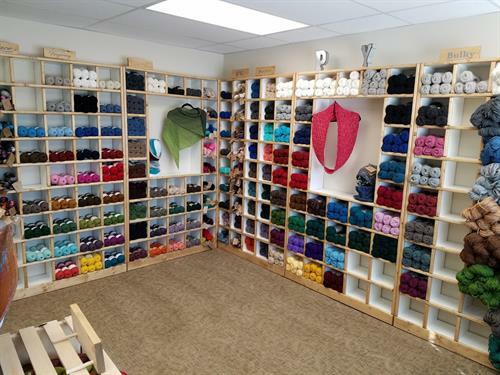 Pingora Yarns provides the needle artisan with quality regional fiber, specializing in eco-friendly manufacturing processes. Most of the fiber comes from Wyoming, Nebraska, Montana, Colorado, Utah and Idaho. 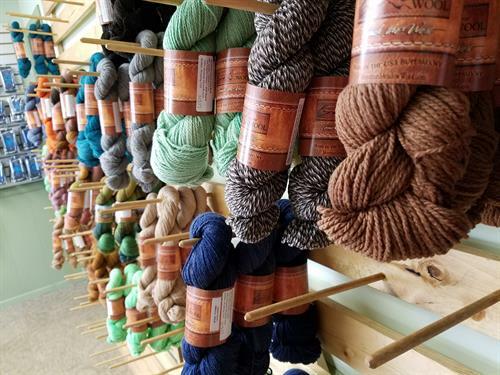 All of our yarns come from natural fiber: from merino, alpaca, cashmere, bamboo, and cotton, and yak - you are sure to find just the right fiber for your next project! One half block north of Main Street on 4th street. Right next to Dominos Pizza.